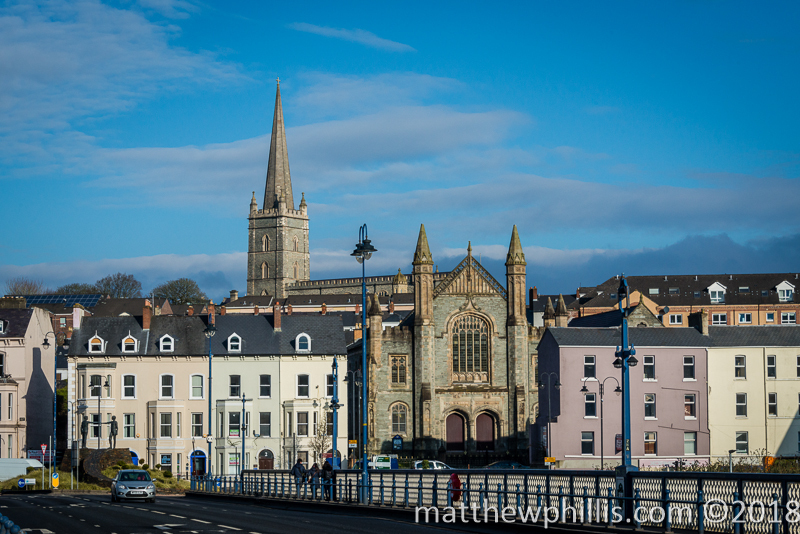 Walking around the lovely city of Derry. 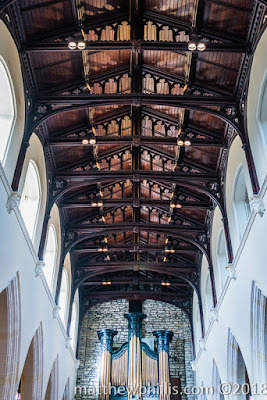 The wooden ceiling of St Columb. The last week had been a great week of travelling around Ireland - I have to say that having a car and driving a country is the best way to do it. Ok, so it was a rent a car (I truly miss my VW van! ), but still, a car is comfortable, relatively cheap when sharing petrol costs, and very convenient, as you can stop whenever and wherever you like. It's my favourite way of travelling - I enjoy the driving part of it as well. 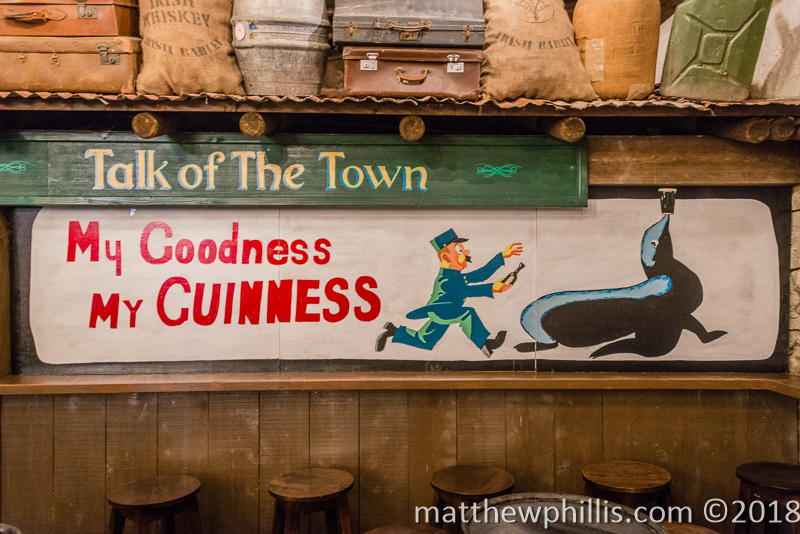 We'd pulled in Derry to spend a day and a night after walking around the Giant's Causeway, and although it wasn't on the list of places to see, I'm glad we stopped here. 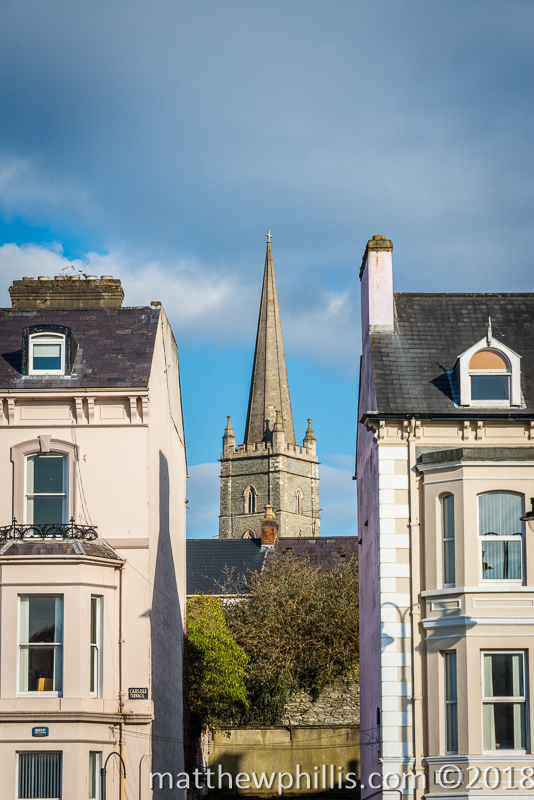 Derry, also called Londonderry, is the second largest city in Northern Ireland and 4th largest on the island. The name changed from the Gaelic 'Daire' (meaning Oak Grove) in 1613 when granted a Royal Charter by King James I who added the prefix of London. 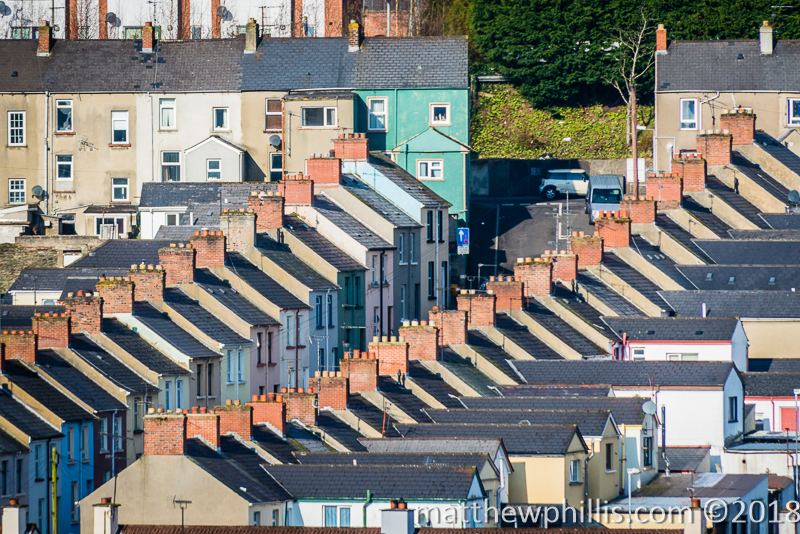 Today's population is around the 100,000 mark, making a small, yet busy little city, which straddles both sides of the River Foyle. 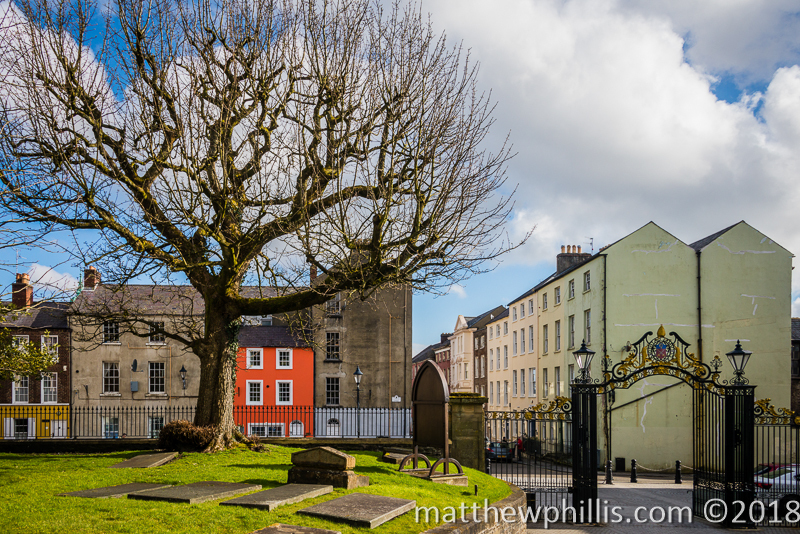 It's not famous for anything, like Belfast and the Titanic for example, but it is the only city in Ireland with completely in-tact city walls that still surround the old town. Built between 1613 and 1619, they were designed to protect English and Scottish settlers (from the Irish I'm guessing), and make a 1.6 kilometre encirclement around the city - you can walk all around the walls and get a great view of the suburbs way down below. 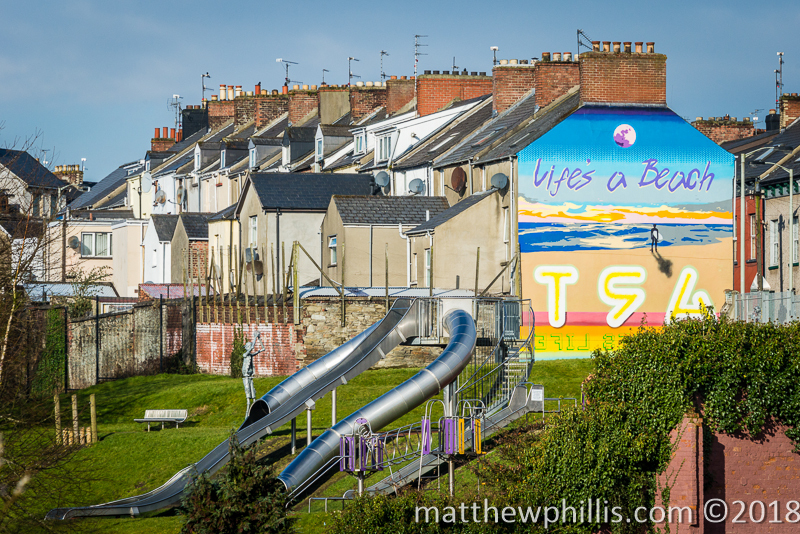 some cool graffiti and play equipment in Derry. Beautiful woodwork from the 1860s. 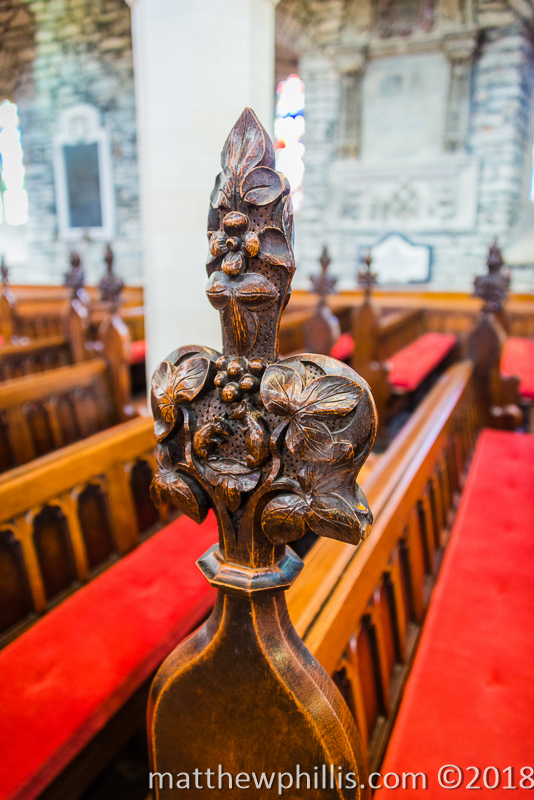 1 of the 214 carved pew decorations. We were just across the river in our B&B, so we walked across the bridge and up towards one of the city's gates, then into the old walled town. 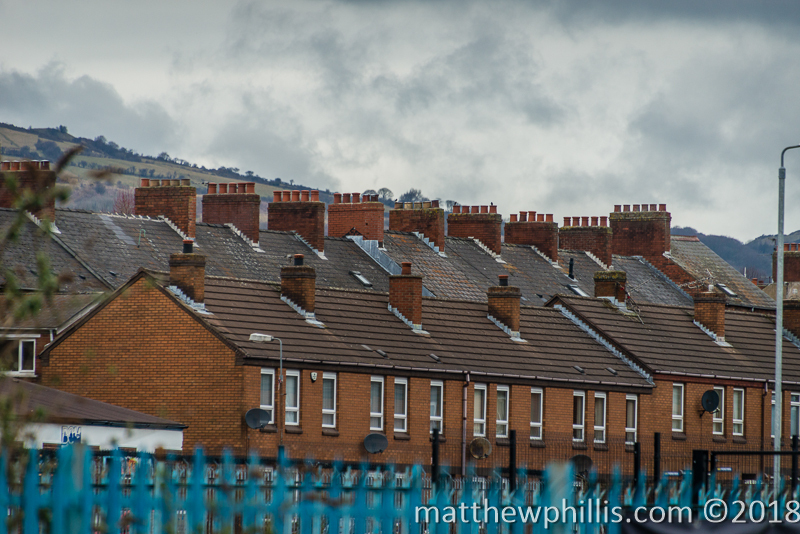 One thing that I liked was seeing the rows and rows of terraced houses. Although I wouldn't really want to live in one, sharing walls with both neighbours and not having much space at all, but I liked the symmetry and and look of it from high above on the walls. Even from this distance you could see the graffiti on the sides of houses and shops, proclaiming peace and prosperity for the city and Northern Ireland and what I could make out, a peaceful solution to the whole issue. Within the walls there is the Cathedral Church of St Columb. 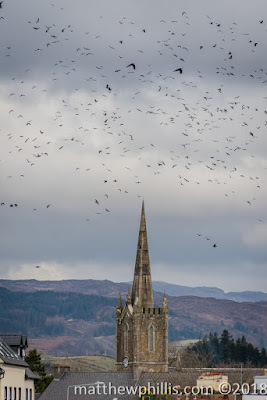 The church was damaged by accident during the Nine Years War (1593-1602), fought between the Irish chiefs against English occupation, and then finally destroyed by Sir Henry Docwra and his 4,000 troops to make the fortifications. 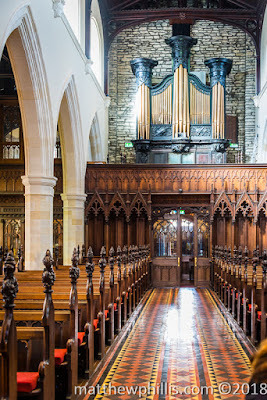 Today's church dates back to around 1663 and from the outside, although beautiful as most churches are, it is inside that the real beauty can be seen. 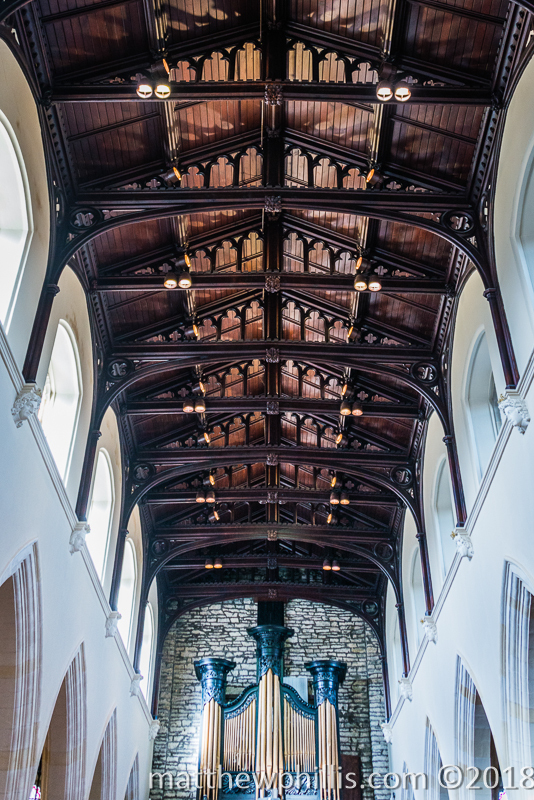 During the 1860s, restoration took place, replacing the stone ceiling with beautiful, dark oak beams, the square pews were all re-done and carved anew as well as the main chair for the church, the Bishop's chair. Walking down the aisle, looking at and even touching the wonderfully, hand-carved pew decorations, was just amazing. We had a guide with us, a lovely older gentleman who decided to show some tourists around and tell us the history of the church, all because he was so proud of the building and was just friendly and charming in general. He told us that during the big restoration, each pew decoration was carved by a father and son team, each being completely unique and different to the others. His seat was in the 'bat' aisle, and his wife, hating bats, sat opposite in the 'squirrel' aisle. There are 214 carved pews with different animals and plants on them, but all amazing. The bishop's seat was also carved by this dynamic father and son duo, and our great guide even let us sit there - 'He's not in today, and besides, he won't even know, will he...' I'm so glad we stopped and went into this church - I can't remember the man's name sadly, but we had such a great time that we donated a few coins for the church in gratitude. 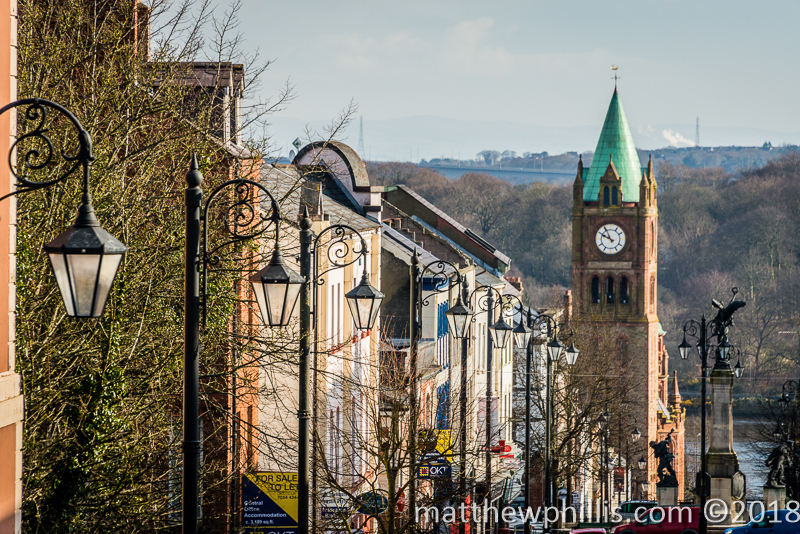 Derry - a beautiful place to visit. 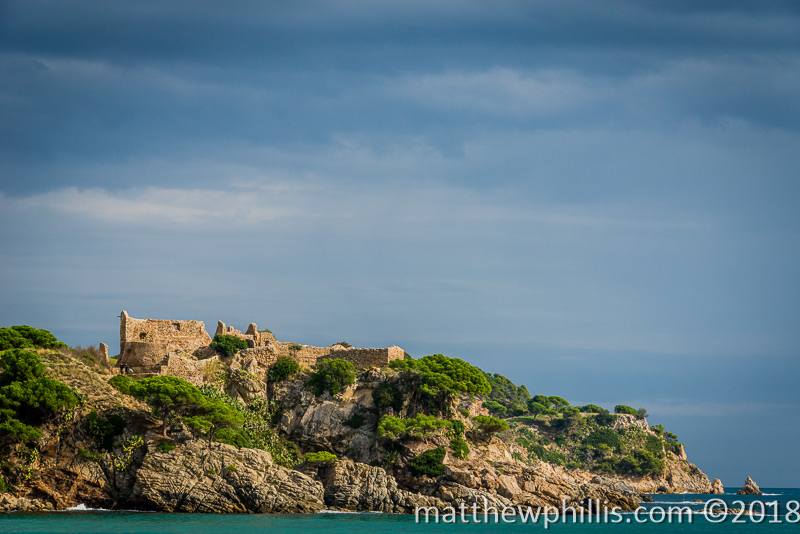 As much as I loved this place, there really isn't many more things for a tourist to do here. We walked back to the car, crossing the modern Peace Bridge, funky looking bridge that curved sideways over the river. 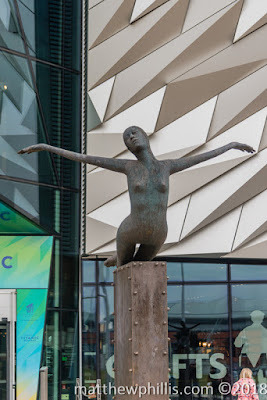 It was built in 2011, when the city was named European Capital of Culture, and is designed to built better relations within the city - it connects a mainly unionist 'Waterside' with the nationalist 'Cityside,' which are on opposite banks. A great stop this was, but before going back to Belfast we took a quick hop over the border, back in the the Republic, for a pint and lunch in Donegal. 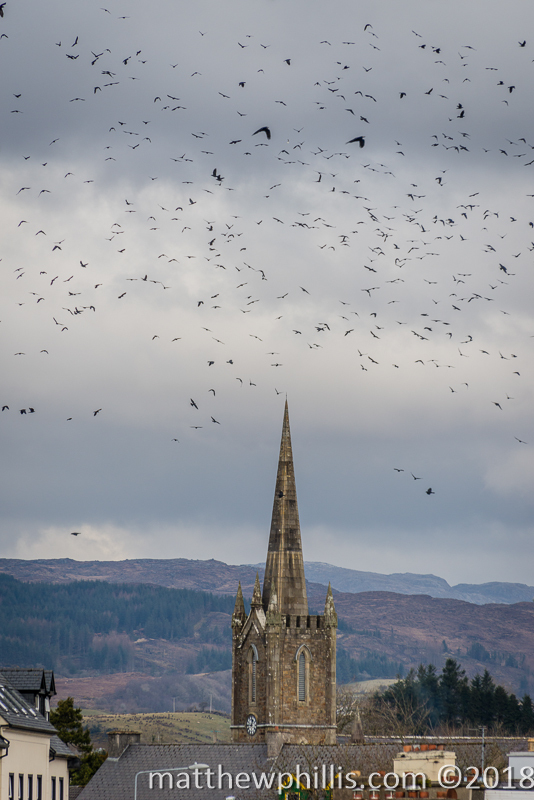 Just outside of Derry is the county and the town of the same name - today the capital of County Donegal is Lifford. Why this place you say? Well, why not? It was close and it was a good time for a Guinness! A small place, with a population of around 2,500 people, but very quaint and pretty. The town square is known as 'the Diamond,' why I'm not sure, maybe because of it's shape, but it is a busy little place ringed with pubs and souvenir stores. Although you approach from the road and drive right into the centre, Donegal sits on a a large estuary and has access to the sea via the river Eske, something you don't really realise because of the hills the are abundant here and the town centre isn't focused on the water like most coastal towns - but there is a ferry, but I was unsure where it went exactly. There's not much here, a 15th century castle called Donegal Castle, the river and waterway, a Famine memorial and a Franciscan friary, which is now in ruins. We stopped for lunch, a pint (or two) and a quick walk around which was very enjoyable. 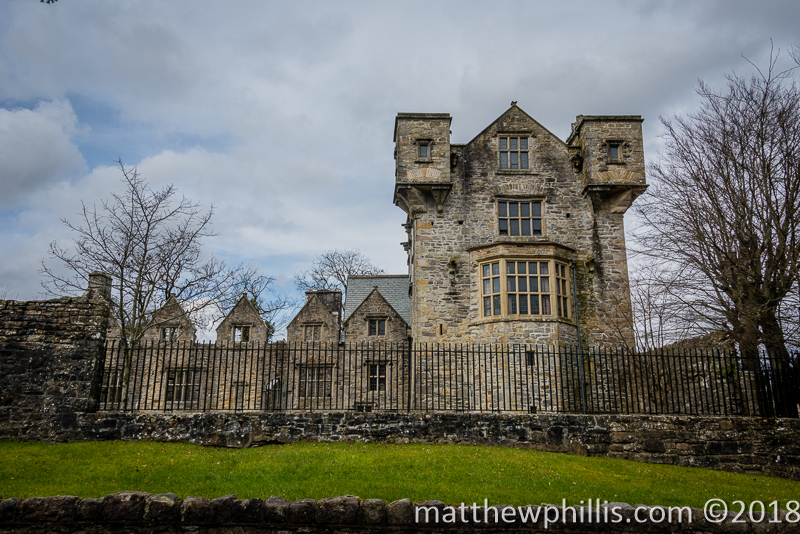 We didn't enter the castle, or even find out if it was open to the public, but strolled around the river and around the town, and then for a short walk through the ruins of the friary and its slightly spooky cemetery. Although in nearly complete ruins, it was interesting to wander, read tombstones (some were from the mid-18th Century!) and enjoy the peace that surrounded the place, its green grass and view of the estuary. The weather had held so far, but we were given a lovely display of Irish weather before leaving - a 3 minute shower, followed by beautiful blue skies and bird songs. As one older gentleman said to be as I was walking back to the car: "It's lovely weather we're having, so it is." That sums up country Ireland! I love it! My Goodness, it's time for a Guinness! 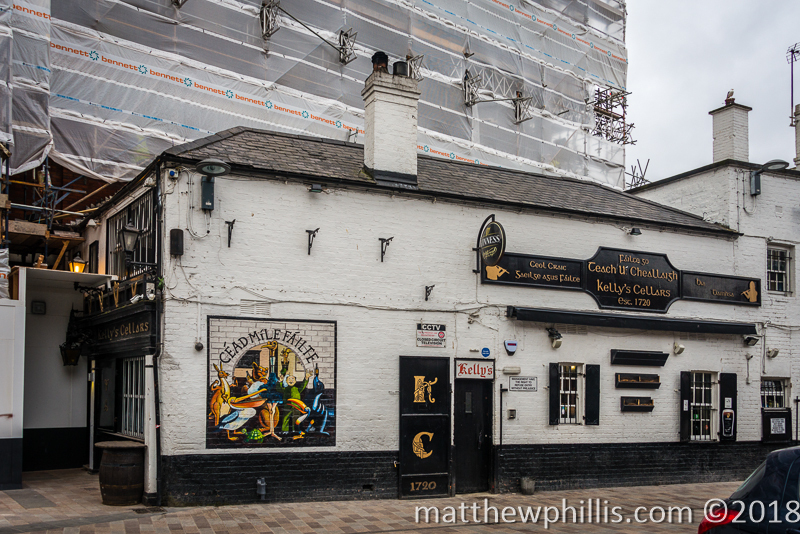 A traditional Belfast pub - Kelly' Cellar. The Sunflower - now a trendy inner-city drinking hole. So it was time for the last leg of the journey - back to Belfast for 2 days before getting the plane back to Barcelona from Dublin. 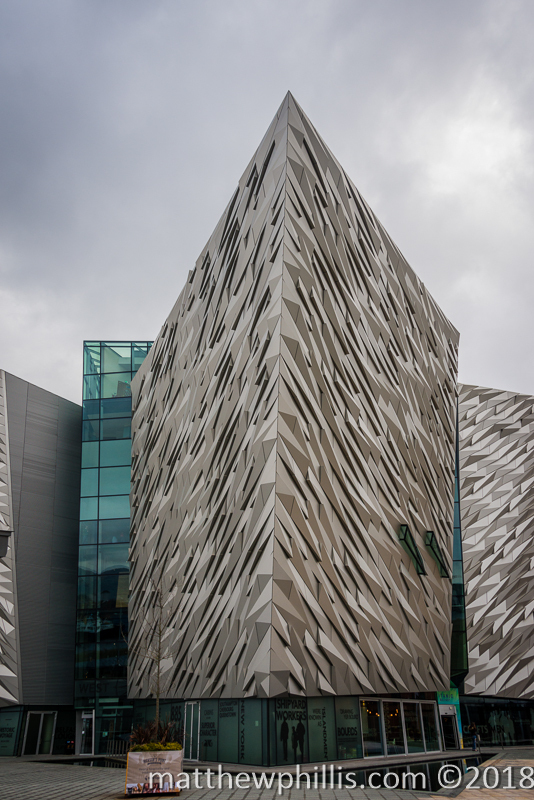 With a population of over 330,000 people, Belfast is a very decent sized place and a city everyone knows because of the Titanic. Before that (in)famous ship, Belfast was known in the early 1800s as "Linenopolous," being the biggest producer of linen and a leader in the Industrial Revolution. Continuing on this line, it also became a huge tobacco and rope producers, branching out into ship building. 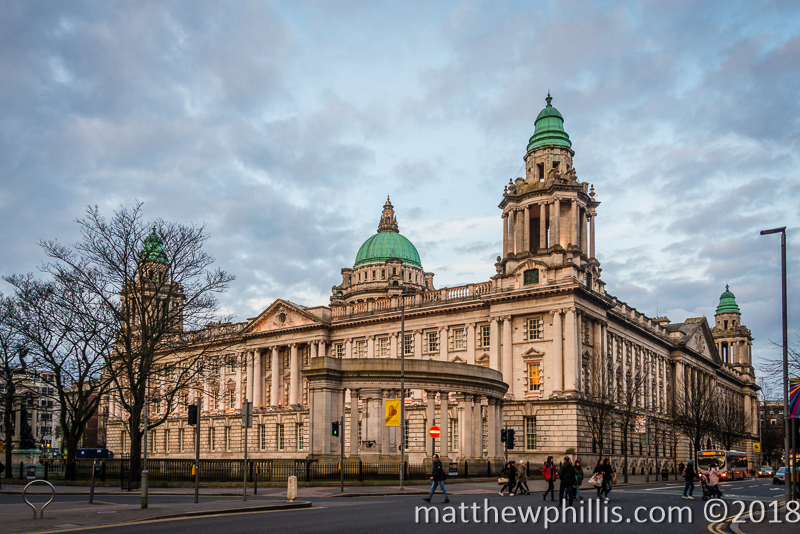 The city did have its fair share of problems in the 70s and 80s with The Troubles, a time of nationalistic and political conflict here, and was considered the most dangerous city in the World! Times have changed and it is now one of the safest - but it's dark past isn't a thing of the past really and reminders are everywhere if you open your eyes a little. We met up with Paddy again for a pint at a pub in town. He'd taken us to 2 previous hang outs of his - cool pubs with cool stories. The first pub is called Kelly's Cellars and it dates back from 1720 - step inside the low door and you'll find yourself in the heart of the real Belfast! It' dark, crowded and cluttered with farming implements and other oddities, but the people are friendly, the beer is good and the prices decent - what more could you want! Sometimes there is live music and it's particularly packed on a Friday and Saturday night. 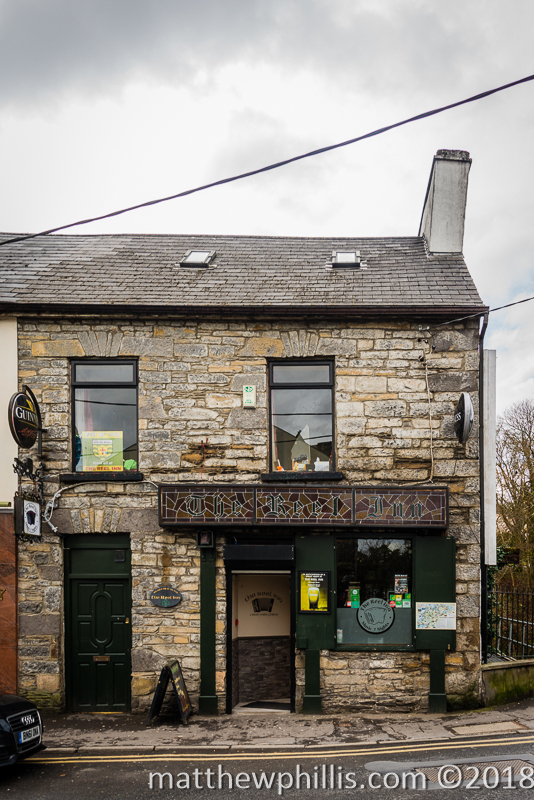 Just down the road and around the corner is Madden's Bar, a cool little pub which stands alone as it's the only building on the block standing. Inside is again small (a running theme with Belfast pubs!) but not dark - there are wooden tables and chairs to sit at and a bar that offers loads of beers. If you come in at the right time and on the rights day, a few local musicians will be playing their violins for anyone who wants to hear. 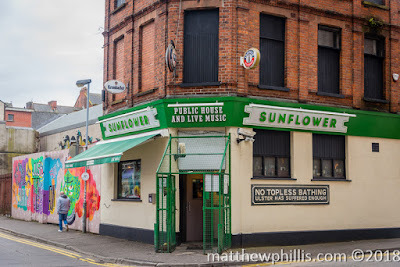 The third pub Paddy took us to, as a kind of farewell to Belfast before we left, was The Sunflower. At first sight, this pub looks a little scary - there is graffiti on the walls everywhere here and it looks like a seedy part of town (and I think it was, but not anymore), but the pub itself has a large, sturdy, green grill around the entrance. Paddy explained that this was to keep people out - if the publican didn't know you, you didn't get in. 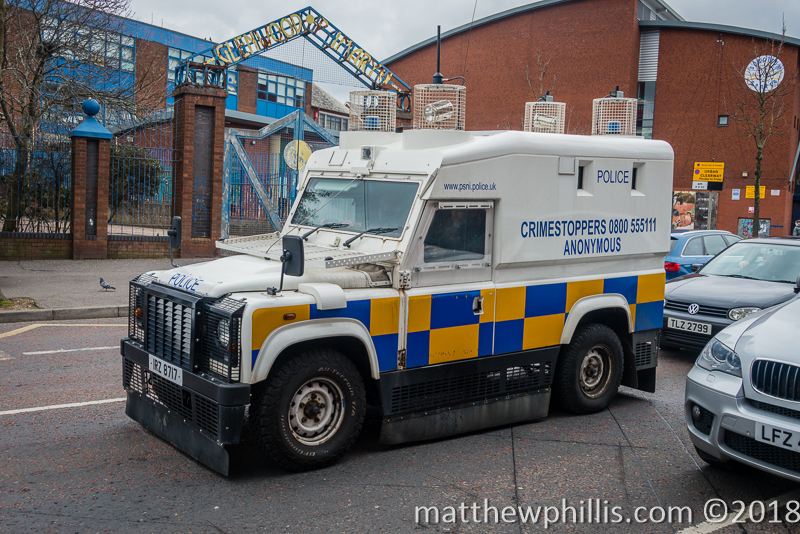 This was due to the problems facing people at the time, people worried about IRA bombs and police retribution. The gate is open nowadays and when you get in its again, a lovely Irish pub that makes you want to stay all night. We drank out the back in the beer garden, which was quite fashionable and has its fair share of hipsters too. How times have changed! Thanks again Paddy for the stories of the inspirational work you're doing here and in South Africa, as well as some local history to digest while sipping on some dark beer. Bobby Sands, IRA member and Parliamentarian. 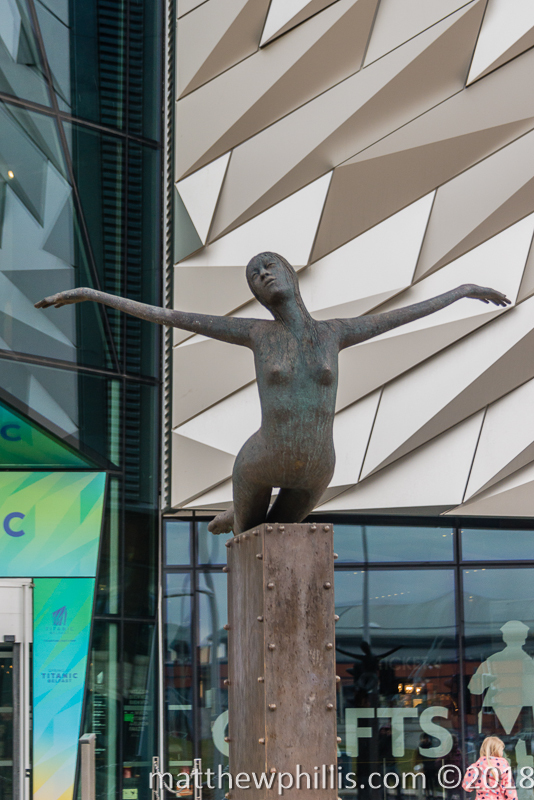 When people think of Belfast, they think of the Titanic. 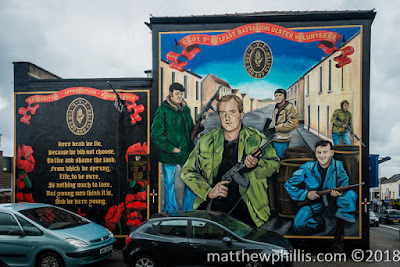 The other thing they think of are the murals and the trouble with the IRA. Both of these things are true - the Titanic was built and launched here, and the IRA had a very big history in the city and there was a lot of violence between the Catholic and Protestant population, factions and the police, fuelled by politics and fear. 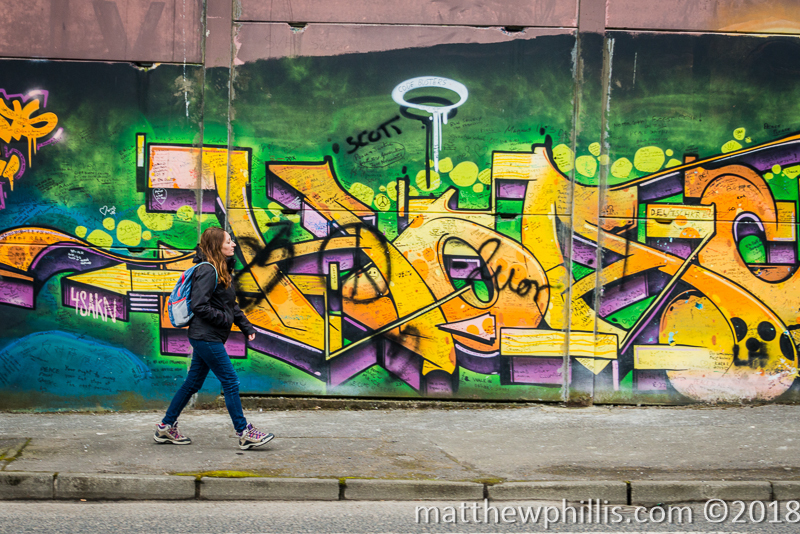 We did see many of the murals and saw both sides, but what most people don't realise is that there is a 'Peace Wall,' that divides sections of the city. 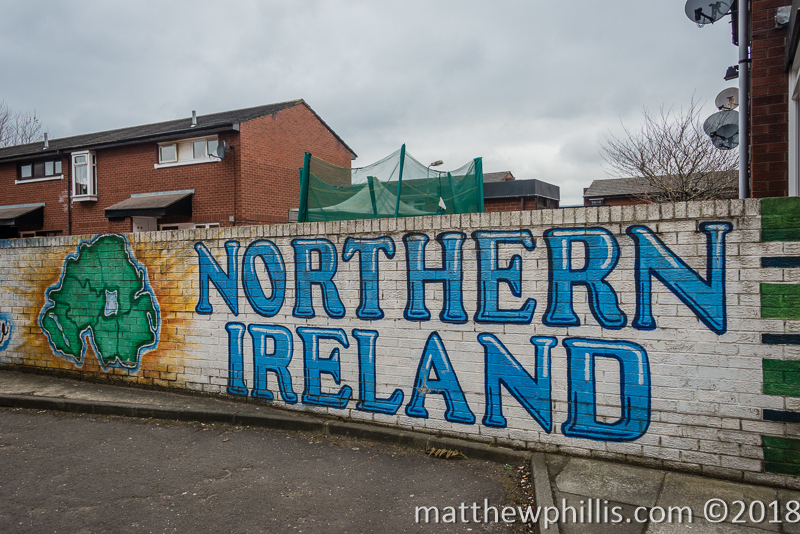 In fact, there isn't just 1 wall - there are several of various sizes, built to separate Republican and Nationalist Catholic neighbourhoods from predominantly Loyalist and Unionist Protestant neighbourhoods. The peace lines range in length from a few hundred yards to over 5 km, are built from iron, brick, and/or steel and are up to 7.6 m high. One of the most impressive, if you could call such a horrible device that, is the one along Cupar Way. After walking through both streets of murals, Shankhill Road and Sandy Row, I was a little shaken up reading all the propaganda against the other parties, blaming each other for deaths and pain and loss, even saying things like "were responsible for the death of innocent Catholics," where they are no longer just people like everyone else, but only part of a religion. 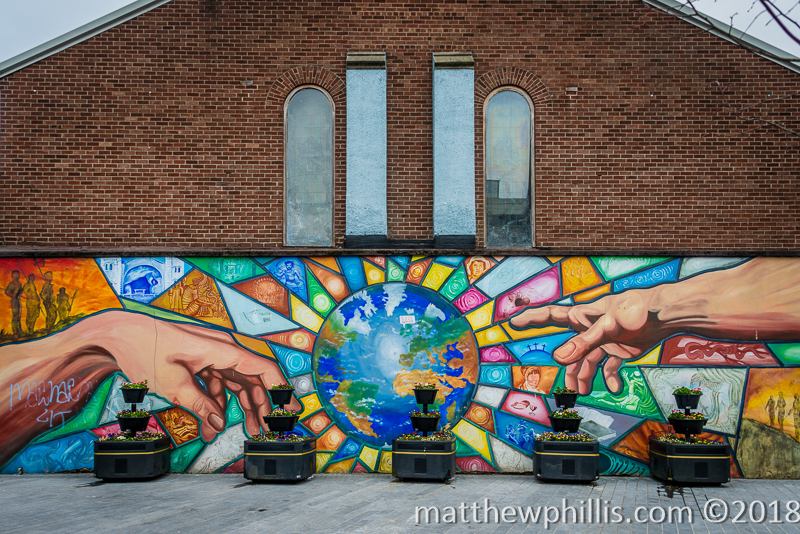 I was following a map of these murals and found on the map something marked as the 'Peace Wall,' and so headed there with no idea what we'd find. We turned off and went through an industrial area and then these huge, steel gates. I stopped and tried to wonder why these gates were here - it seemed unnecessary to keep people or trucks out of the area. I walked through the gates and was confronted by a tall, concrete and steel wall and loomed over the street and ran as far as the eye could see. For those entire walk along Cupar Way, I didn't speak. I walked, took some photos, looked at the writing and murals on the wall and still couldn't believe what I was seeing. It wasn't a wall that I was looking at, instead an ugly, separatist device used to keep people apart from other people, too keep hate boiling in the blood, to divide people who are really very, very similar to each other. Messages of people are written all over, by people who have visited the wall, famous people have also been quoted, photos are on the wall and other memorials have been built. People talk about Trump building a wall to keep Mexicans out and laugh - but sadly there is already a wall there. Everyone knows the most famous wall in Berlin, but there is also the huge West Bank Wall in Israel to 'protect against terrorism.' The sad truth is, these horrible attempts at 'peace keeping' are an atrocity and should all be torn down and people given the freedom to move where and when they like and be together. 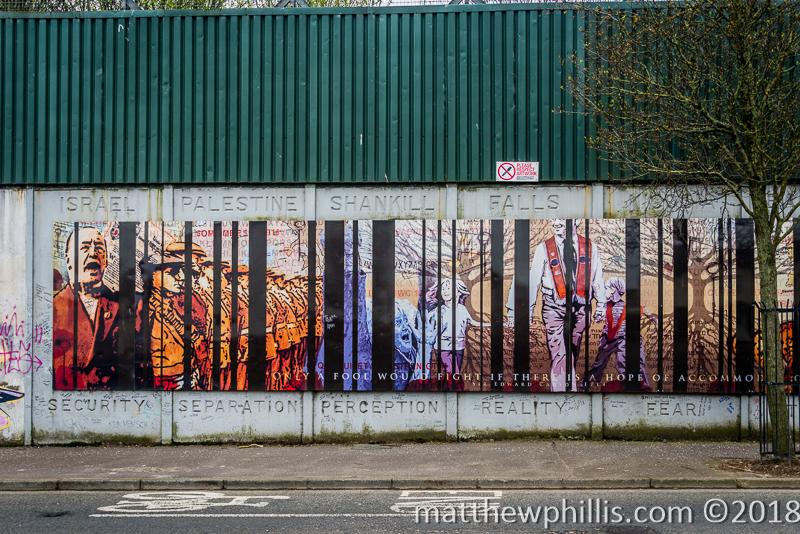 The 'Peace' Wall in Belfast. The gates that close at night. 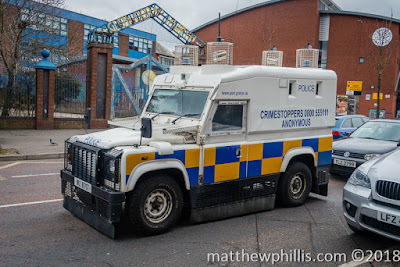 A Belfast police van, AKA "The Crimestopper." Making this walk really woke me up a little to the troubles in Belfast and Northern Ireland. I thought the problems were all over when the IRA officially de-armed and were no longer putting bombs in bins and blowing things up. Sadly, the problems continue and the populace is still living separate and in fear of marches, uprisings and retribution. Another thing is certain political or religious parties deliberately set other groups off by marching down streets to stir up trouble. There is nothing wrong with marching and having pride in something, but the sole purpose of these marches is to cause problems and then blame the violence and problems on the other party. 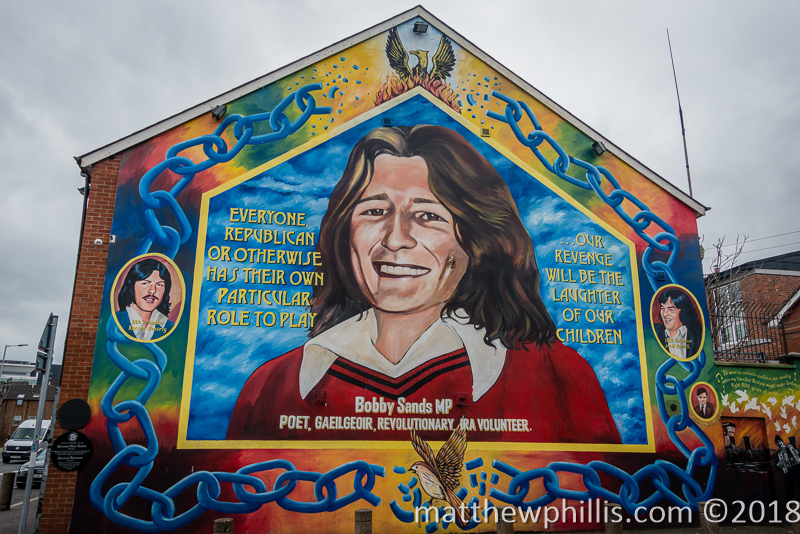 Although the murals should be left up in my opinion, so that nobody forgets what's happened, the walls an gates on the other hand, there are no excuses for. The gates at the other end of this street were even more in your face that the first ones we'd found. The are left open during the day, sometimes with police standing guard, but are closed at night - something I found very surreal. 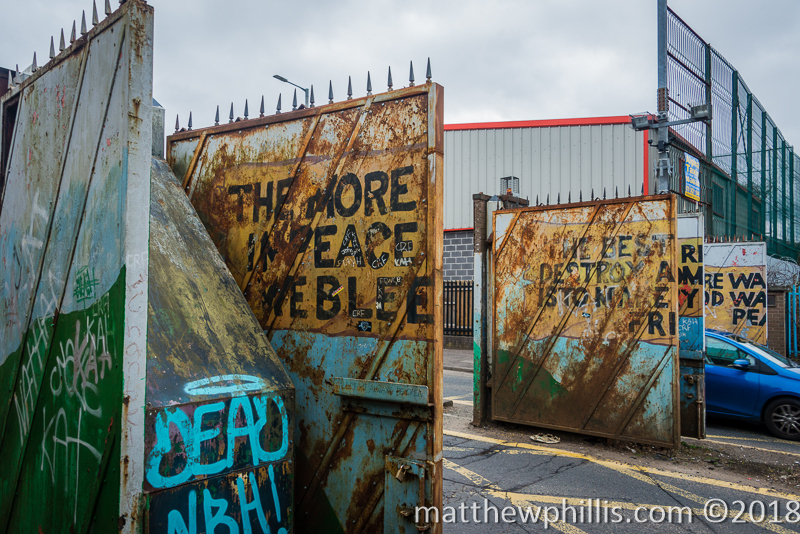 These gates had been painted with messages of peace which I found very moving - "there was never a good war or bad peace," and "the best way to destroy and enemy is to make them your friend." These were painted on the huge iron gates, a little hard to read as they were designed to be seen when they are shut. 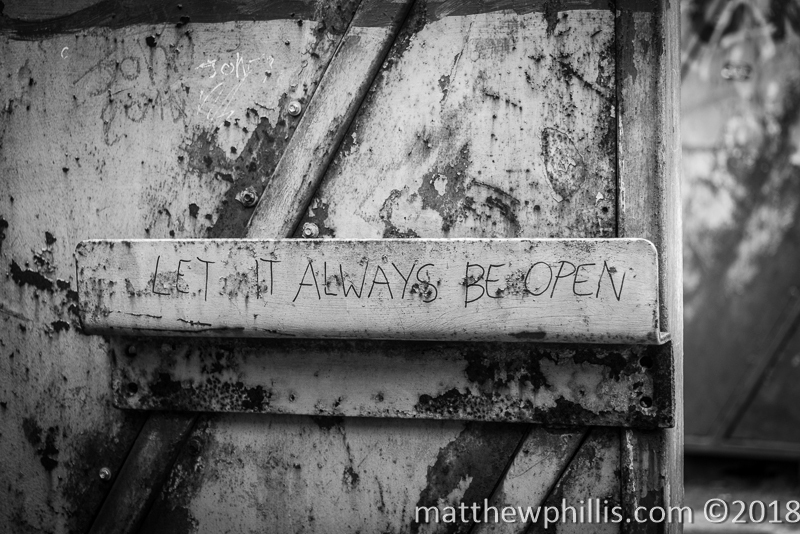 There were other messages, written by hand in marker, but the one that really got to me was one that said "let it always be open." I still cannot believe this is happening, and in a country that is part of Europe and the UN, considers itself a free Democracy and freely passes judgement to the rest of the World. Shame, shame, shame. There is hope though - in January 2012, the International Fund for Ireland launched a Peace Walls funding programme to support local communities who want to work towards beginning to remove the peace walls. In May 2013, the Northern Ireland Executive committed to the removal of all peace lines by mutual consent by 2023. Finger's crossed. Break down the wall and open the gates to kindess. The Titanic museum - almost like a ship's prow. 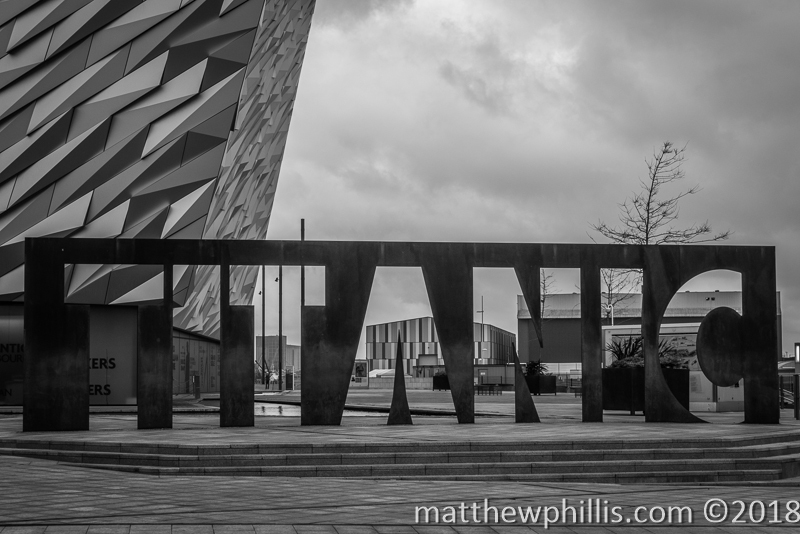 The last thing we needed to visit in Belfast before heading home was the Titanic Quarter, where the legendary ship was built and launched. It was laid down in Belfast back in 1911 and along with her sister ships, the RMS Olympic and the RMS Britannic, were some of the biggest ships every built to date. At the time, there was a huge competition between passenger ship companies, mainly Titanic's owner White Star and its rival Cunard (owner of the Lusitania and Mauritania). A huge ship, measuring in at 269m long and 28m wide, weighing a massive 52,000 tonnes - it must have been a real sight to see as she tipped down into the dockyard and floated for the first time. Imagine travel before planes - a grand adventure across the seas, not trapped in a seat with your knees crushed by the person in front of you, being able to stand up and walk the deck as your ship tries to break the speed limit! Everyone knows the story of the Titanic so I won't go into that, and you can get all the information at the museum here. We decided not to go in, due to the steep price and a slight time limit too, but I can be something for next time - the gift shop is worth a visit though, it's full of everything Titanic and then some, and the sheer size of the store is, well, titanic! We walked around he dockyard in the freezing April weather and called it quits when the rain added to the misery. It was back South for us and the end of a great holiday. Before we got the plane though, I thought it would be nice to return to the first place in Ireland that I visited here in 2005 (apart from Dublin). Just south of the city is a place called Bray in County Wiklow, a coastal town with a typical strip of bars, hotels and tourist attractions opposite the beach. I say beach, but what I really mean is lots of stones stacked up in place of sand. Although it's not the nicest place in the World, impossible to park, full of people and the weather was bad enough that I didn't want to get out of the car, it brought me back to when I first landed (off the ferry) and met people here, lived stories and adventures, all when I was 24 and backpacking around the UK. The smaller town down the road is called Greystones and we stopped in there for our last pint of the black stuff and serving of fish and chips before catching our flight. Sadly the town had been redeveloped and now sported a big marina and a new housing estate right on the shoreline. This fish and chips, although still great, unfortunately wasn't wrapped in newspaper this time around. Even though things change, sometimes for the worse, I was still nice coming back here after so long and imagining it then and how I was then. There's nothing wrong with thinking about the past and a little nostalgia, but just don't get stuck there!